Welcome to Foster's Quarter Horses. 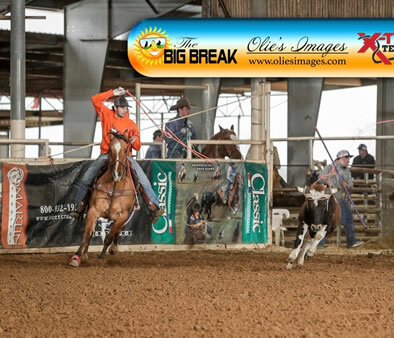 Briefly, our goal is to raise, train, ride, and/or sell foundation quarter horses that are structurally correct, gentle, and show by natural cowing instinct. We believe that these attributes make great performance horses in whatever event you choose. Bloodlines of King, Poco Bueno, Driftwood, Hancock and most foundation bloodlines are the basis of the foundation of our ranch. We take the approach that horses (treated properly, given a chance, guided with wisdom, can nearly always be productive and useful animals, bringing joy and reward to their owners. 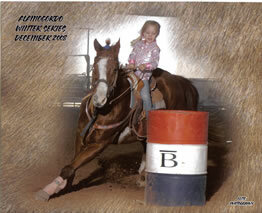 Foster's Quarter Horses is owned and operated by Steven Foster. Our ranch actually goes back to when Steven's grandfather moved to Texas from Kentucky in 1892. Their knowledge of horses for work and pleasure has been passed down from generation to generation. Steven's father trained, traded, and knew horses very well. His mother's uncle had the wagon yard and feed store in Lamar County (trade center for horses and mules). His father, early on, match- raced quarter horses, worked them on cattle, used them to pull equipment out of the mud, and any other job that needed to be done. They had to be sound, gentle, and they had to "cow" to survive on the ranch. Our horses today are basically the same. 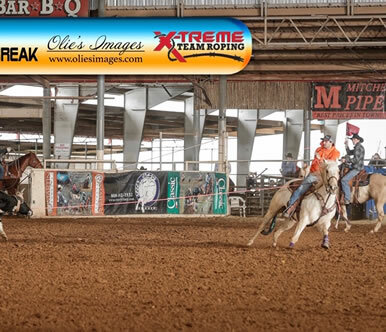 Calf roping, team roping, breakaway roping and steer tripping are all favorites around the our ranch. The method of training used on our horses was basically trial and error based on Professor Berry's Horse Training Techniques from the turn of the century. He was pre-Parelli, pre-Reis, but had similar principles and methods as we see in these trainers today. 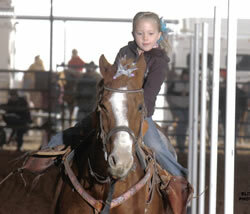 Foster's Quarter Horses is a family operation. Everyone has a part. Everyone has fun. 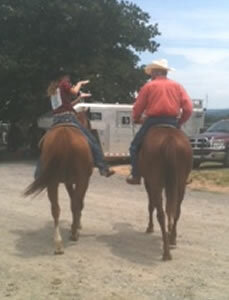 If we are not riding, roping, or working, we'll probably be cooking, so come on by and see us! We'd be glad to try and help you find a horse to fit your needs. Just a quick note to let you know that Popeye is doing great!!! On Saturday he went a little fast for her, and she has not had much time with him, so I put a snaffle bit in his mouth with a little shank and a loose tie down. That slowed him down to a perfect speed and I am sure after a week or so more I will take it all off. On Sunday she won 2nd in the flags, 2nd in the barrels, 1st in the poles, and 5th in th goats. Her goat run was slow because for some reason she hung on his side for a while and he just stood there. Attached are some pictures. Please share with your daughter. Thanks so much. Have a great day! -Brady"